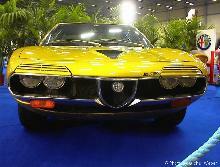 In 1970 Alfa Romeo launched an a contender in the ever growing "Supercar" sector, the Montreal. The Montreal featured a special body styled by Bertone and mounted on a modified 1750 GTV chassis/platform. 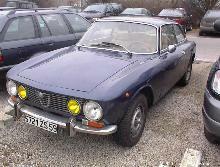 The front carried the traditional Alfa grille as well as four headlamps which were mounted under unusual "grilles". 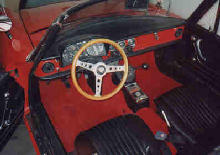 The Montreal was powered by a 200bhp, fuel injected V8 engine which had four camshafts and measured 2593cc. 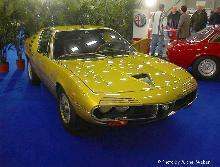 The powerful engine could propel the Montreal to speeds approaching 140mph. 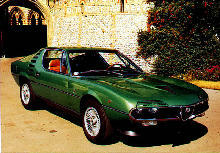 In total just under 4,000 examples were built by Alfa Romeo before production stopped in 1977.